So, remember those boots I lost in the move? Fossil was nice enough to send me a different pair. I decided to play up their prettiness by pairing them with a dress for a day at the office followed by First Fridays in the Kansas City Crossroads Arts District. Hope everyone is having a great weekend! you lucky girl!!! love those boots, dear! Adorable! 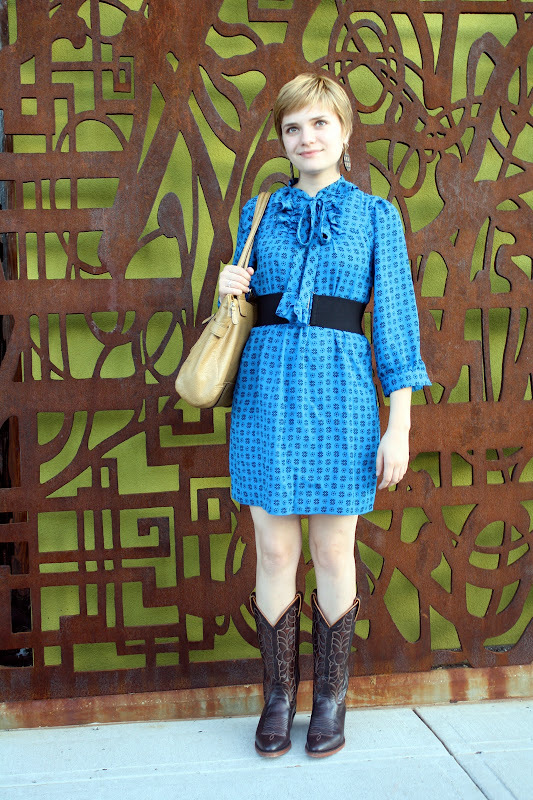 I love cowboy boots paired with printed dresses. 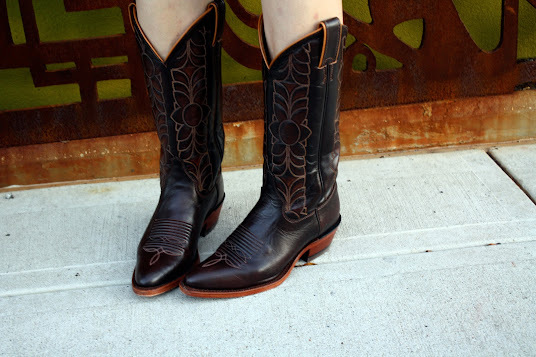 Or actually, cowboy boots paired with anything. That's so sweet! I love the outfit also...looks great with your blonder hair. Those boots are awesome and I love the dress! The boots look great with that dress! Cowboy boots are the best! Im in love with your boots! lush! This dress is incredible, and it look amazing on you! I would like to raid your closet something fierce! Anna Sui would be proud of the way you mixed her printed dress with Western boots... that's so her aesthetic. :) Love this look!